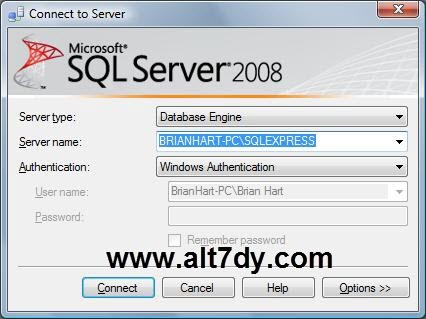 ثم نختار Microsoft SQL Server 2008. ثم نختار SQL Server Management. Server Type تكون Database Engine. Server Name تكون (. / Local). ثم نضغط على كلمة connect.